The Friends of the Newport Ship are always happy to welcome school groups to the Ship Centre where we have a number of activities and tours to entertain and educate young minds on the uniqueness and importance of the Newport Ship to Newport’s and the world’s history. If you would like to arrange a visit please feel free to contact us. 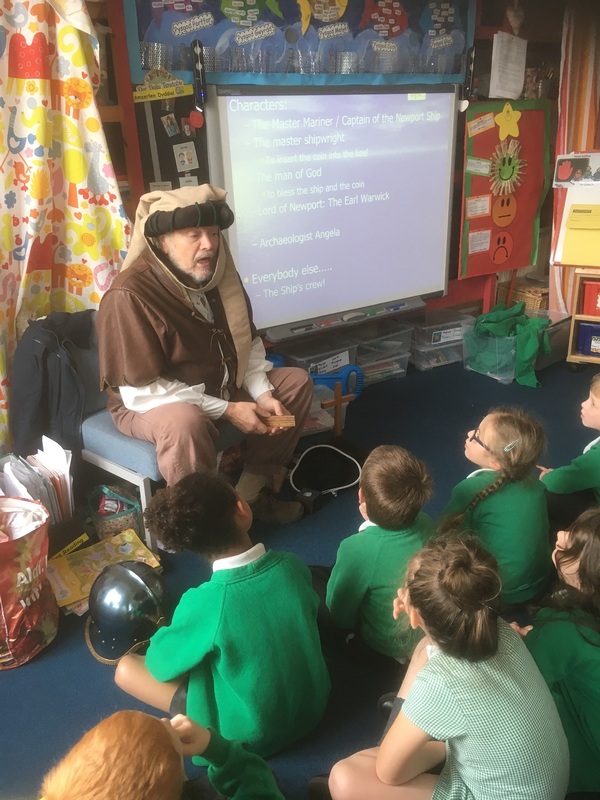 We have recently (2018) started to come out and visit schools on request – telling the story of the Newport Medieval Ship in an interactive ‘hands-on’ session. If you want to find out more, please get in touch. We welcome visits from schools to come and hear our history and see some of our treasures. Activity packs are available and can be tailored to each specific visit through discussions with teaching staff. Please contact us to discuss your requirements.